Our signature sweet has been loved in Hirado for over 400 years: Casdoce. This sweet is made by dipping Castella cake pieces in egg yolk and boil it in syrup as it was done by Portuguese families that traditionally ate this sweet many centuries ago. Hirado was the first place in Japan where European countries traded and it said that Portuguese missionaries who came to Hirado brought the Casdoce recipe with them. At the time, eggs and sugar were very expensive and our Casdoce that lavishly uses these ingredients was called “the illusory sweet” that was only eaten by the lord of Hirado himself. After the modernization of Japan, Casdoce has been presented to the Japanese Emperor as a gift. Please enjoy the full sweet taste of this golden legendary sweet. Was Casdoce introduced to Japan before castella cake? Nagasaki is very famous in Japan for castella cake, which was brought to Japan by the Portuguese. Some theories however suggest that the recipe for Casdoce was brought to Japan even before castella cake. The first Portuguese trading ship arrived in Hirado in 1550. Until the port of Nagasaki opened for foreign trade some 20 years later, Hirado was Japan’s only port to trade with the west. It is thought that a Portuguese priest brought the recipe of Casdoce to Hirado during that time. From a sweet reserved for the lord,to a much loved local classic. 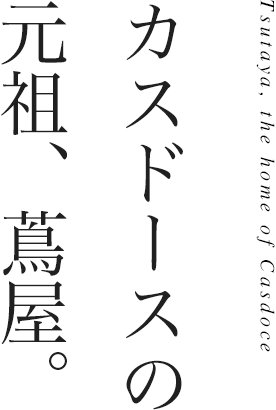 There are many other theories as to how Casdoce made its way to Hirado. One of them is that it was made from old castella cake that had become dry during the long sea voyage. We might never be sure of its exact origins but that is part of the mystery of this classic treat. 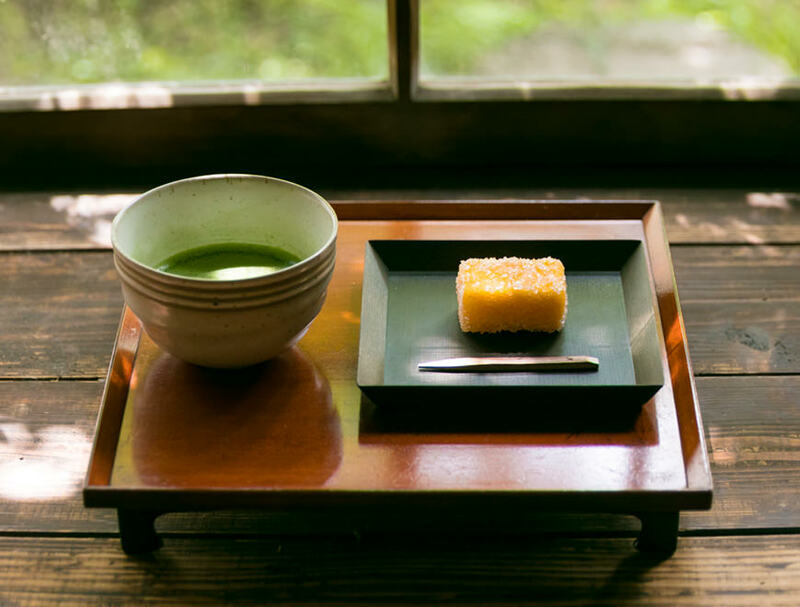 Over time Casdoce changed from a luxurious treat reserved for the lord of Hirado to a local favourite sweet that has become known around Japan. However, one thing that hasn’t changed over the past 400 years is the same great taste that we have been providing our customers with. Drawings of Tsutaya’s Casdoce can be found in the Book of 100 Sweets. The Book of 100 Sweets was created in 1841 by order of Hiromu Matsura, the 35th head of the Matsura family and lord of Hirado. This unique book is still part of the Matsura family collection and showcases one hundred different types of sweets that were made in Hirado at the time through exquisite and vivid paintings. Traditional sweets from Tsutaya such as Gobo Mochi and Casdoce can be found in this precious book and reminds us that Tsutaya sweets have been loved for centuries. Passing on the over 400 year old traditional taste to the next generations. 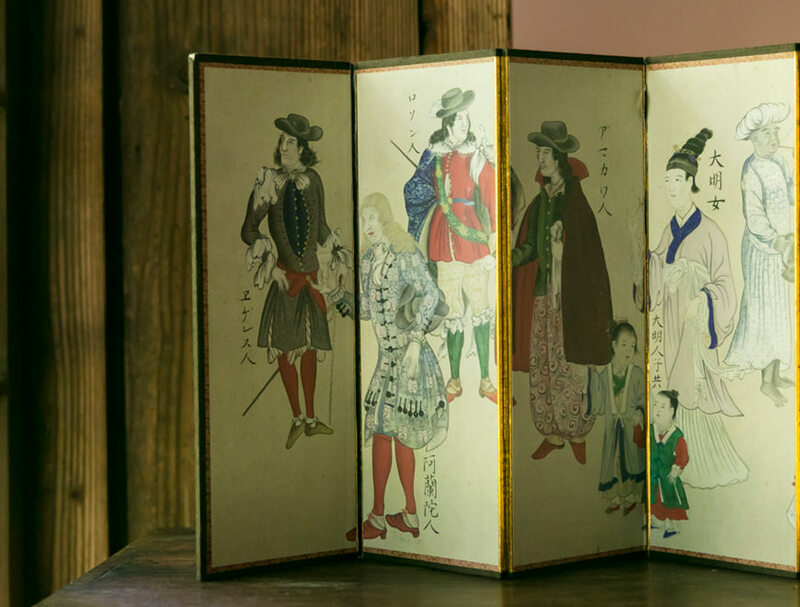 The Book of 100 Sweets that the Matsura family had made over 150 years ago does not only show beautiful paintings of all the sweets, but it also lists their recipes. The recipes of sweets that we still make today such as Gobo Mochi and Casdoce are exactly the same as in the book. Toshiyuki Matsuo is the 24th generation of Tsutaya and every day he makes sure that all sweets are of the same top quality: “I want to pass on our traditional taste to the generations to come”. At Tsutaya this is our unchanged philosophy which we have inherited from our ancestors. The traditional recipe of Casdoce that has been handed down the generations. Tsutaya’s Casdoce is hand made and free of artificial additives. We only use the best flour, eggs and sugar from Japan. Among those, egg yolk is very important for the final taste of Casdoce, so we only pick the freshest and richest egg yolks sourced locally, regardless of the brand. First we bake a low sugar content castella cake that is very airy which matches well with the egg yolk. 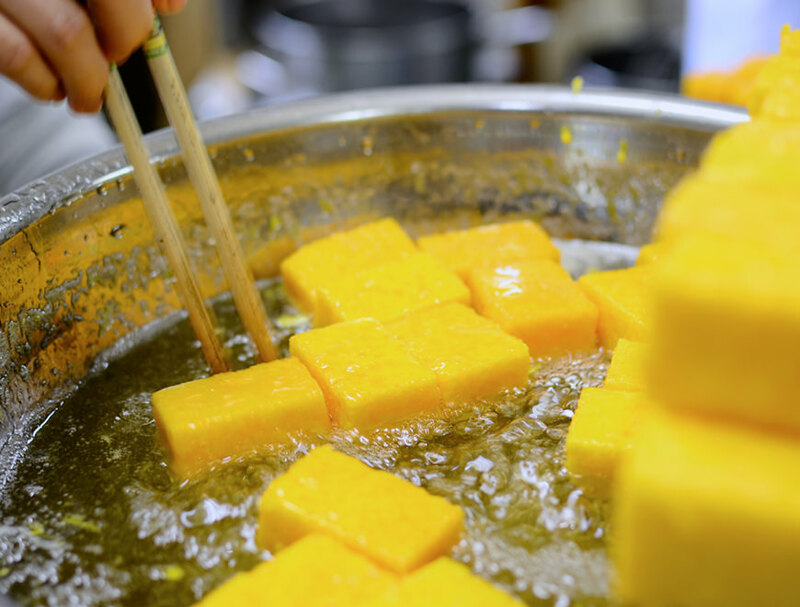 After drying the castella cake we dip it in plenty of beaten egg yolk by hand. This is all according to our over-400-years-old unchanged recipe. Tsutaya’s Casdoce, lovingly hand-made over the course of two days. 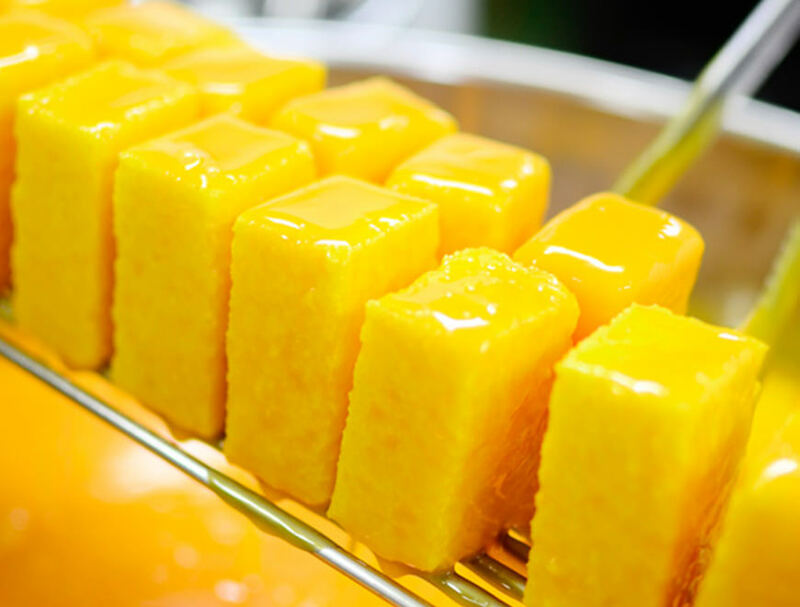 The blocks of castella cake that have been dipped into the egg yolk are then skillfully boiled in a special syrup. By boiling the Casdoce in a syrup, the egg yolk is heated throughout, which is a traditional way of prolonging its shelf life. In a time without refrigerators these were very important baking techniques invented by our ancestors and carried on by word of mouth over the generations. Finally, the Casdoce are coated with sugar which completes the process. This is how we lovingly make Casdoce over the course of two days.